Unidentified persons set fire to houses and cars. Dozens of families have fled their homes for fear of new attacks. 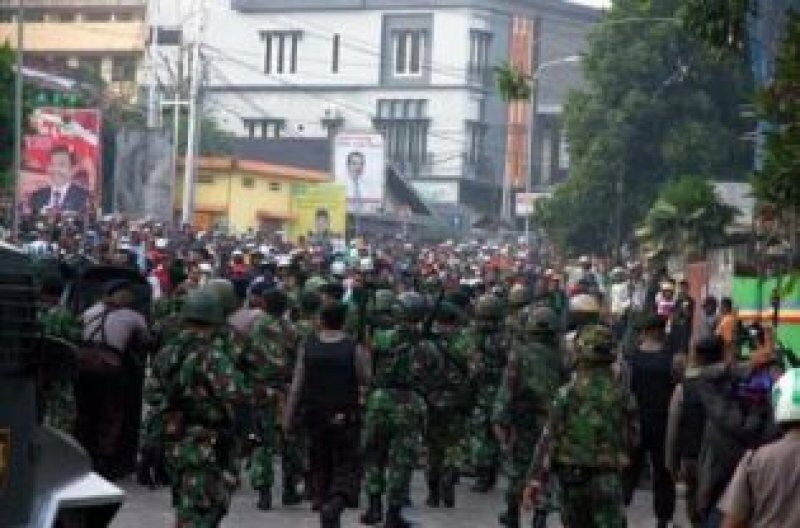 The clashes began last May 14 during the celebrations of the Indonesian hero Thomas Matulessy. Police rule out the Islamists. Jakarta (AsiaNews) - For the third straight day there have been attacks in Ambon (Moluccas), where last night a group of unidentified persons set fire to houses and motorbikes in a predominantly Christian neighborhood. AsiaNews sources say that dozens of families have fled their homes for fear of attacks. Many fear the involvement of Islamic extremist groups. The violence started early last May 14 on Pattimura Day, which commemorates Indonesian national hero Thomas Matulessy (1783-1817) who was born in Ambon, contested by both Christians and Muslims. In the night a group of men attacked the candlelight vigil in Saparua village which was due to end in downtown Ambon. In the clashes 44 people were injured. Yesterday, General Saud Usman Nasution said that the violence was deliberately caused by people close to the radical movements, but has ruled out the involvement of Islamic terrorists. Between 1999 and 2001 a bloody war between Christians and Muslims was fought in the Moluccas. There were thousands of victims, hundreds of churches and mosques destroyed, thousands of homes destroyed, and almost half a million refugees. In February 2002 a truce between the two fronts -of equal strength in the Christian and Muslim areas - signed in Malino, South Sulawesi, halted the violence through a peace plan promoted by the government.